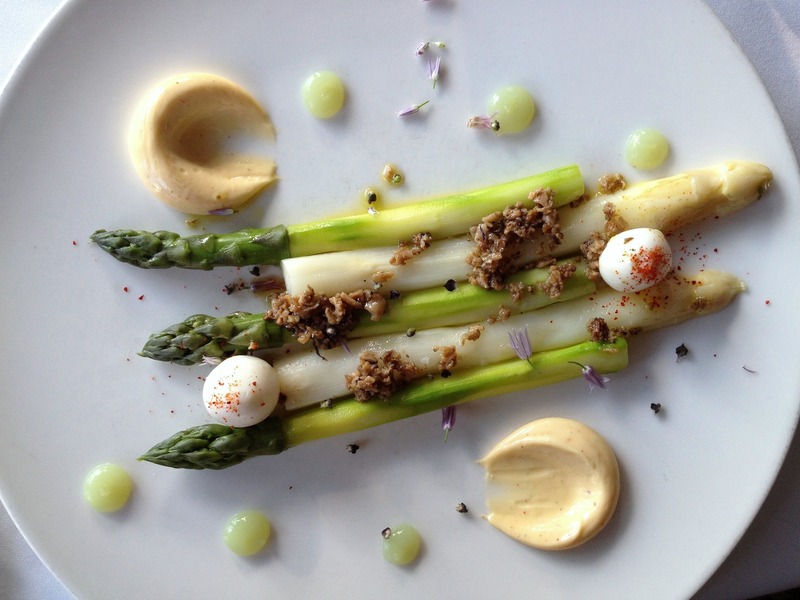 asparagus, earthy mushroom vinaigrette, quail egg, crab aïoli, asparagus gel. gnocchi stuffed with Vin Santo–soaked prunes, topped with seared foie gras slices, floating in foie gras–butter–Vin Santo glaze. our choices: harder Abbaye de Belloc and softer, brie-like Brebirousse d’Argental. both sheep’s milk cheeses, both new favorites. 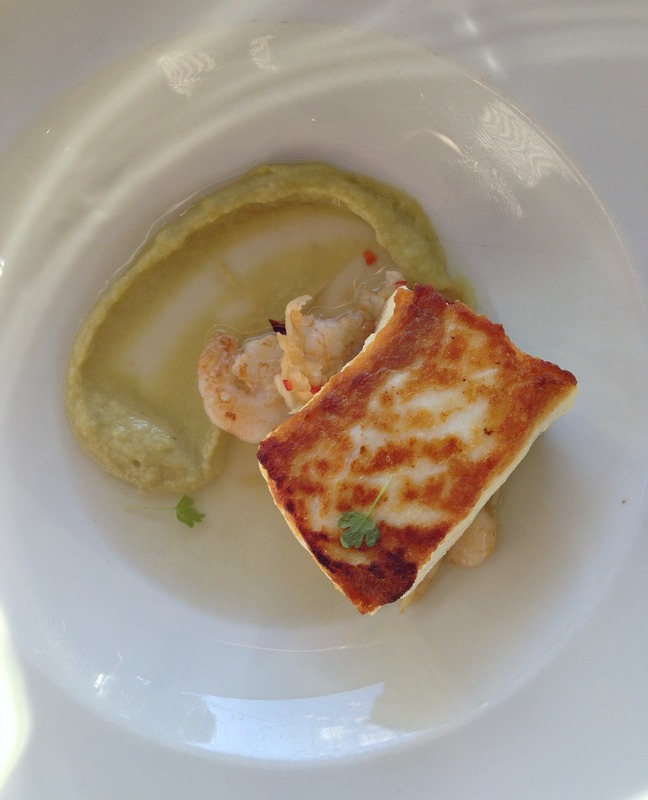 meaty seared halibut, sweet little rock shrimp, fermented sunchoke–lemon purée, green garlic consommé, poured on at the table. 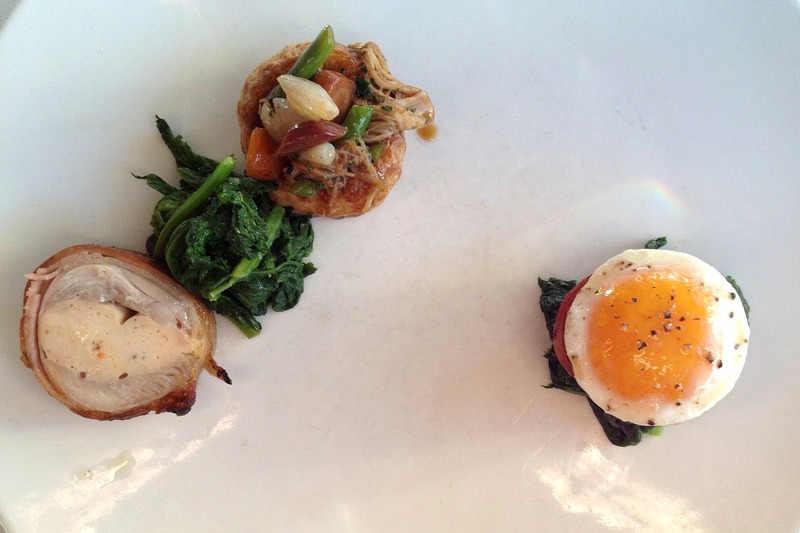 chicken breast mousse–filled roulade of dark meat, wrapped in smokey, cripsy bacon, served with broccoli rabe, vol au vent stuffed with spring vegetables and braised leg meat, topped with yolk. crispy bass, with tangerine butter sauce, Calabrian chile, rapini, and salty shaved bottarga. 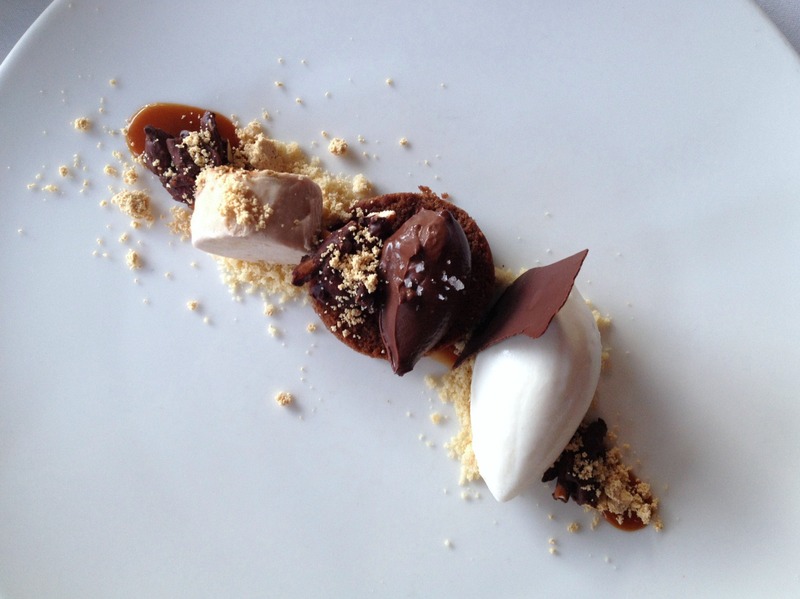 chocolate pain de Gênes, topped with a light ganache and sea salt, served with sassafras sorbet, pretzel clusters, peanut crumble, vanilla ice cream, chocolate bark, caramel. 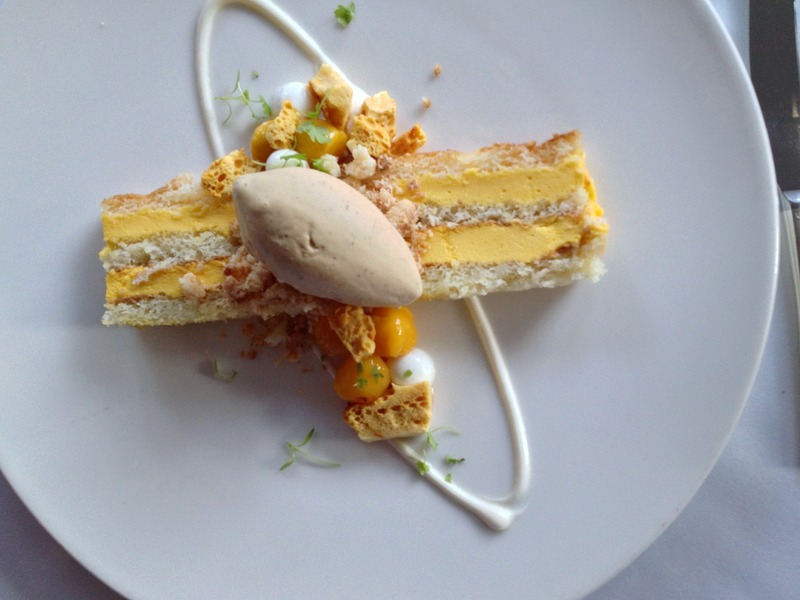 mango mousse–fllled sponge layers, chai tea ice cream, fresh mango spheres, honeycomb, yogurt spheres, and yogurt sauce. I love No. 9 park, but I really do hope to get to Menton some day soon! gorgeous, indeed. 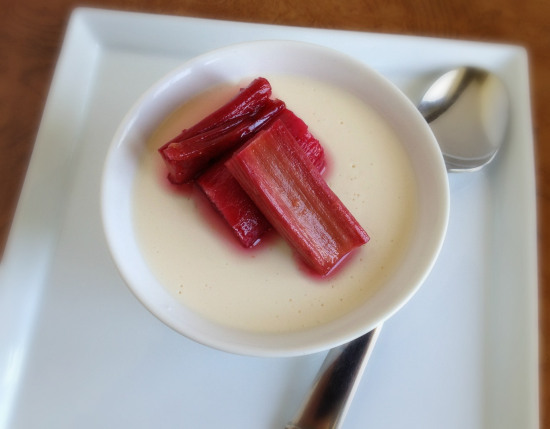 and thanks for the reminder about your panna cotta- might have to be making that soon! went to no.9 park once for restaurant week, but from what I recall it’s definitely worth a trip back for a special occasion! Yes, it’s certainly not an every-day restaurant. Hi, Michelle. Unfortunately, I do not have recipes for any of these dishes pictured. This is just a pictorial view of a lovely meal I had at No. 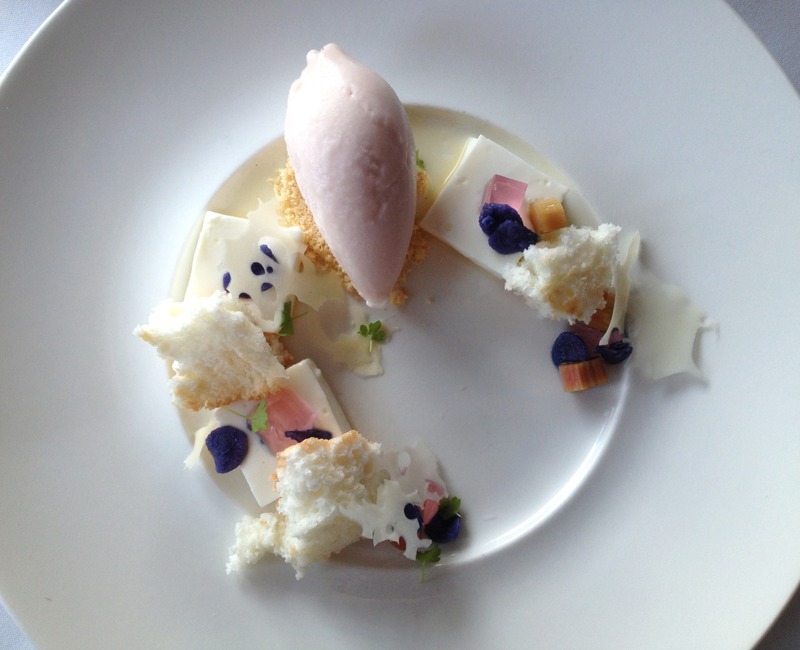 9 Park, a restaurant in Boston. Thank you for your interest!